Sour cherries are hardier than sweet cherries and can tolerate deeper shade. Ours are on Mahaleb full-sized rootstock. 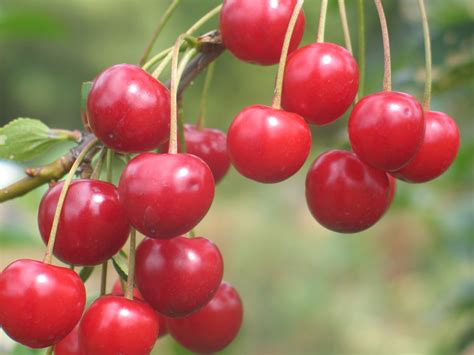 Meteor – A superior pie cherry, Meteor is also a reliable cropper and very hardy. The bright red fruits are produced abundantly and reliably; self-fertile. Montmorency – This variety was bred in France 400 years ago, and is still a popular commercial crop in Canada. Self-fertile.